I spend a lot of my time traveling and exploring new cities, which I love, but it's also nice to go on an adventure here in Phoenix. While I consider this city home, it's not where I'm originally from so I'm always on a quest to find new fun things to do. This mission led me to partner with INWEGO to give their app a test drive and it did NOT disappoint. INWEGO is a monthly subscription that gives you tickets to hundreds of local events ranging from concerts to festivals to sporting events and MUCH more. Tickets are included in your subscription, and there are no service fees. Erik and I recently made a weekend out of it by going to an improv show for date night and taking one of our best friend’s with us to Chandler for a taco festival! One of my favorite things about the app, aside from its low cost (only $29/month for unlimited event access to tons of live and sports events), is that you end up going places you would otherwise never have heard about! This rings especially true for the improv show we went to on a Friday night. We found it through the app’s easy to navigate event roster and were thrilled that there was still availability even though we did our search last minute. It was held at the National Comedy Theatre and if you love improv or have never been to an improv show GO…we had so much fun and my face hurt the next morning from laughing so hard. 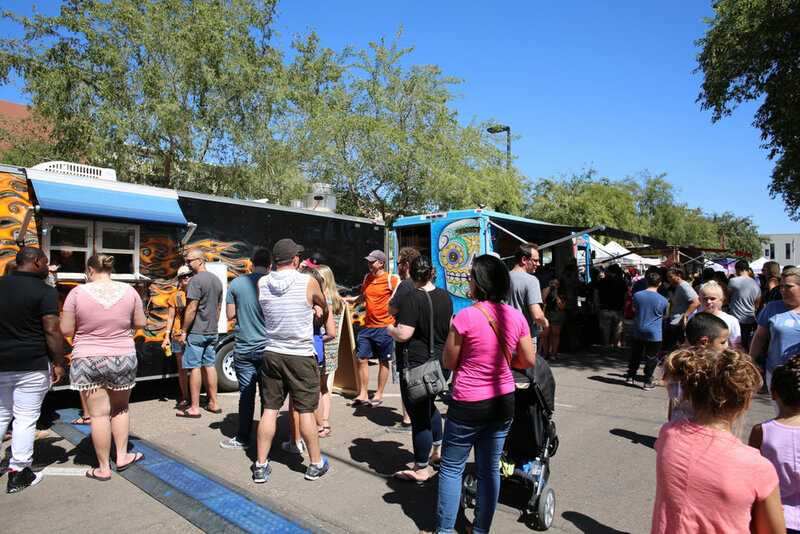 However, my sore face didn’t stop me from eating several tacos the next day at The Sixth Annual Rockin’ Taco Street Fest in Chandler, AZ...and by several I mean 9 or 10. I have no regrets, they were so bomb and again, would never have known about this awesome event without the app. We tried tacos from some of the city’s hottest food trucks, ate delicious fruit covered in chile and finished ourselves off with spicy chocolate milkshakes all thanks to INWEGO. We will definitely be attending next year, if you’re in the area don’t miss it! In one weekend alone, Erik and I got to step up our date night with a comedy show and a taco festival...and if we had more time we would have also gone to U2's concert. How cool is that? I normally spend $100+ on one ticket for a concert alone and through INWEGO, it only costs $29/month for unlimited access to all of these events and more. If you use promo code “FRENCHYTOAST” when you sign up you will get 50% OFF your first month...I know, you're welcome. Hurry, offer ends 10/31! This blog post was written in collaboration with INWEGO but all thoughts and opinions remain my own.